Help my golf game, Obi-wan Kenobi, your my only hope! 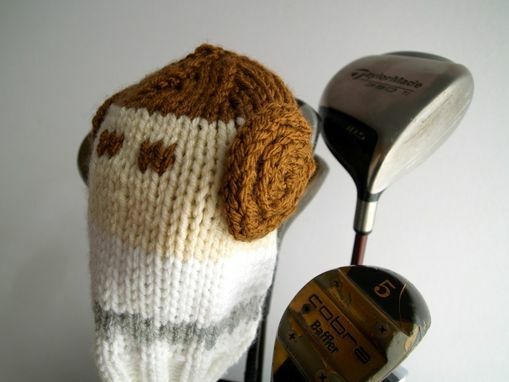 This Princess Leia inspired Golf Club Cover will add The Force to your game. 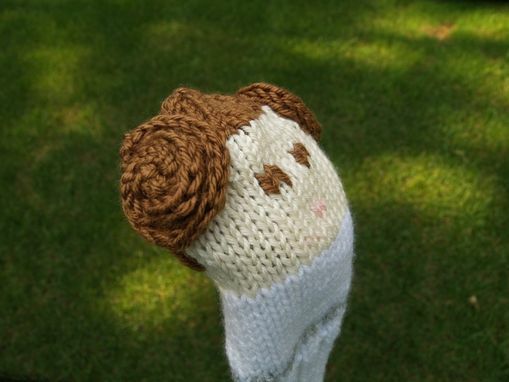 Leia is outfitted in her signature oversized buns and white dress from Episode IV, A New Hope. 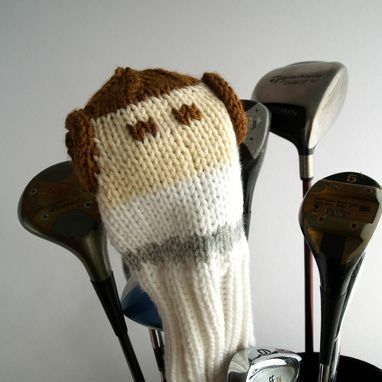 Sized to fit most clubs and made out of acrylic fiber to prevent damage. 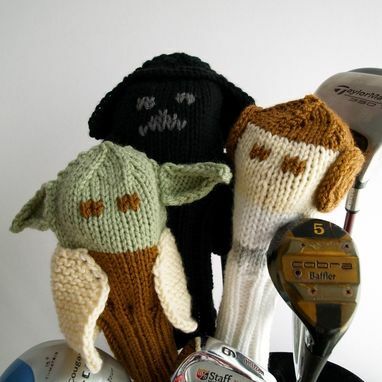 Should you find yourself in a trash compactor in an enemy spaceship, it is machine washable! less then 100 yards of these color worsted weight yarns: white, light grey and brown. Pattern will be emailed to you within 24 hours of payment. If you are interested in having a printed copy sent to you, contact me, some additional postage is required. This is not an officially licensed product of Lucasfilm. It is a one of a kind, handmade piece of artwork depicting a pop-culture icon. Thank You.